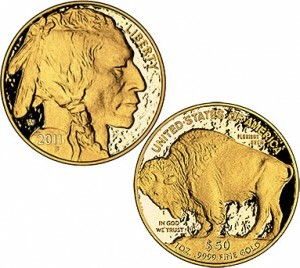 The United States Mint began selling the 2011 American Buffalo Gold Proof Coin today, May 19, 2011. These strikes officially went on sale beginning at noon Eastern Time (ET) for $1,760 per coin with no mintage cap or household order limit put in place on the strikes. This release marks the sixth year for the numismatic Gold Proof Buffalos which debuted back in 2006 along with the Gold Bullion Buffalos. Both are struck from one ounce of .9999 fine 24-karat gold and feature obverse and reverse designs well known by many familiar with American coinage. 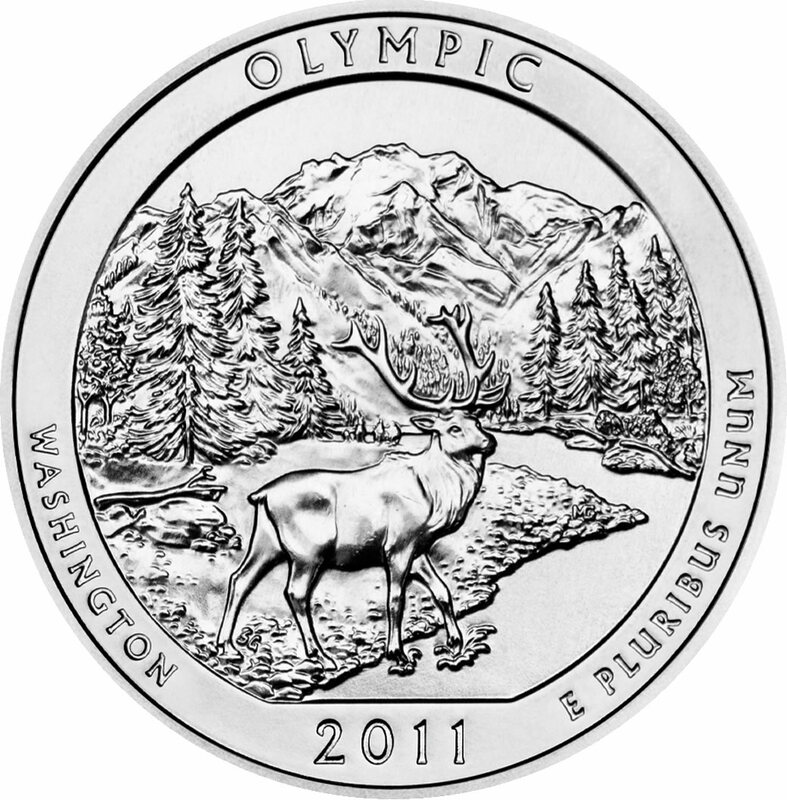 The United States Mint will begin offering the 2011 Olympic National Park Silver Bullion Coins to its network of authorized purchasers (APs) next week. 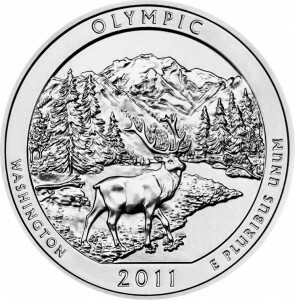 In a memo today to the network, the US Mint indicated that it would begin accepting orders for the Olympic Silver Bullion Coin on Monday, May 23, 2011. On Thursday morning, the United States Mint indicated that the complete mintage of 27,000 of the 2010 Hot Springs Five Ounce Silver Uncirculated Coins had been ordered by its customers. Those still interested in the strikes may add themselves to a waiting list which the Mint has instituted for the coins. The 2010 Yellowstone 5 Ounce Silver Uncirculated Coin will be released by the United States Mint on May 17, 2011 according to a Mint press release. 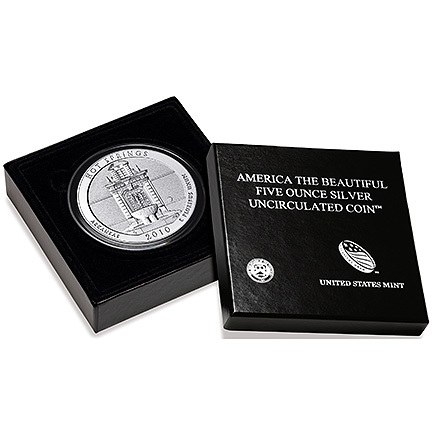 This will mark the second America the Beautiful Five Ounce Silver Uncirculated Coin to appear from the Mint in less than one month. The first was the Hot Springs Silver Uncirculated Coin which made its debut on April 28th. These two releases also mark the first for the America the Beautiful Five Ounce Silver Uncirculated Coin series overall. The coins are struck by the US Mint as the collector-grade versions of its America the Beautiful Silver Bullion CoinTM Program. After a few weeks of unavailability and a retreating silver market, the US Mint has chosen to once again offer four of its annual silver sets for sale to the public. The Mint pulled them from availability last month in the midst of the precious metal attaining new thirty-one year highs. The 2011 American Eagle Gold Uncirculated Coin will be released by the United States Mint on May 5, 2011 beginning at noon Eastern Time (ET). This release will mark the first time the coins have been issued since last appearing in 2008. 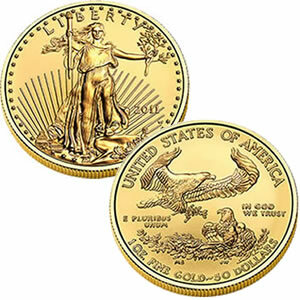 The US Mint first released the American Eagle Gold Uncirculated Coin back in 2006 as a collector-grade version of the bullion Gold Eagle. Those bullion strikes debuted themselves in 1986 as a low-cost method for investors to add small amounts of gold to their portfolios. 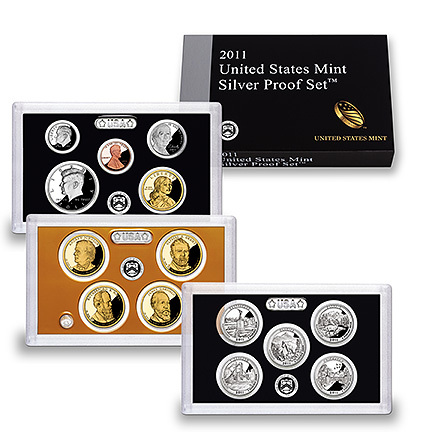 Continuing increases in the silver market has forced the US Mint to stop selling two additional products that contain the precious metal - the 2011 Silver Proof Set and the 2011 America the Beautiful Quarters Silver Proof Set.